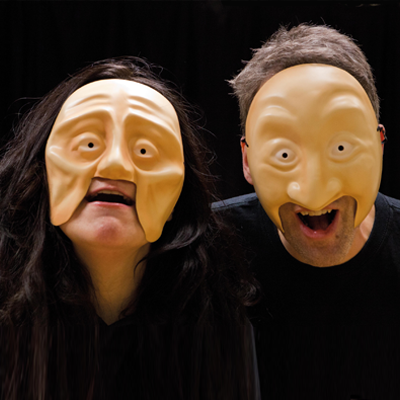 Professional Training — Trestle Theatre Co.
Trestle offers an extensive range of training from mask and physical theatre, CPD courses for teachers, professional practitioners and workshop leaders, to PGCE and an MA in Education (Drama), plus corporate training for business groups. Led by professional theatre practitioners these practical one day drama CPD workshops are run regularly at Trestle Arts Base in Spring and Autumn terms or can be delivered at your own venue. Costings: £150.00 per day, £280 if booking two days and £420 if booking all three days. We can also visit your school/an external venue to deliver CPD Training for 6-18 participants at £600 a day. For more information or to book please follow the link below. Trestle in partnership with Middlesex University deliver a unique MA course in Education (Drama) – the very first of its kind in the UK. The three-year part time masters programme is designed for teachers and lecturers of drama, theatre studies and performing arts and will be run at Trestle Arts Base over 6 weekends an academic year. The course explores a variety of theatre practices relating to education and creative learning, as well as sharing years of specialist mask and physical theatre expertise developed through Trestle’s work. Professionals who are interested in this award title should apply through Middlesex University for the MA Education programme, clearly stating they wish to work towards the MA Education (Drama) exit award. It will cover everything you need to know to go further in mask with the aim of making successful devised work and unlocking the process we as a company go through to make a mask show here at our Arts Base. This course is for you if you’re interested in making mask work and would like to understand Trestle as a company and gain an insight into our processes, it’s open to everyone with a passion for mask and a willingness to play. The course will take place at our Arts Base in beautiful St Albans in Hertfordshire. With plenty of lovely Airbnb’s nearby and regular access into London from St Albans City Station it’s the perfect opportunity to come and stay in the local area. Trestle’s workshops are a unique and creative experience that can be employed to develop skills in effective leadership, communication and presentation, effective group work and more. Our interactive workshops can be tailored to suit your team’s needs and we have worked successfully with companies both in the UK and internationally, including BRITA, Unilever, IBM, EE, Tesco and Jet Airways. Each workshop is bespoke to your Company’s needs so please contact us using the form below or call 01727 850950 to discuss what we could do for you.